Laura Brown was born and raised in the Alberni Valley – Franklin River, and her husband, Darren, was born in England and grew up in Sydney, Australia before coming to Canada in his late teens. 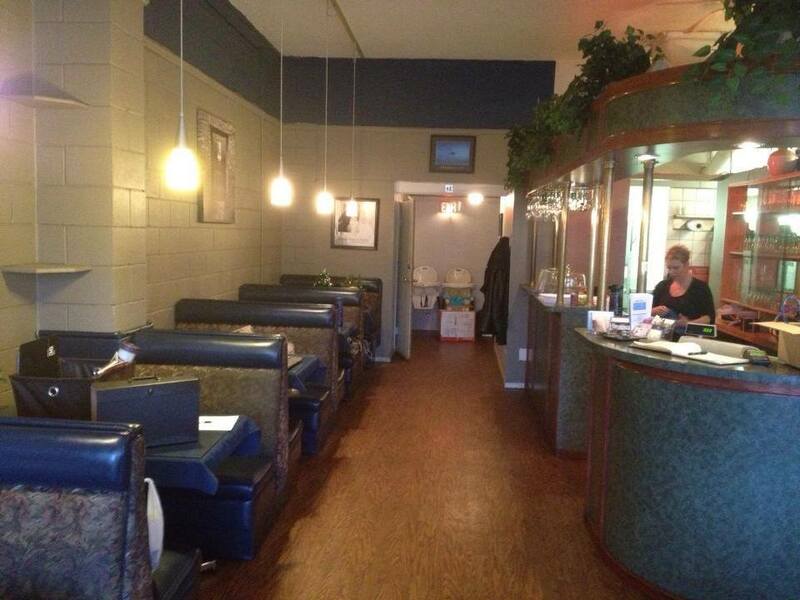 Laura and Darren purchased what was Miller’s Place in January of 2013. 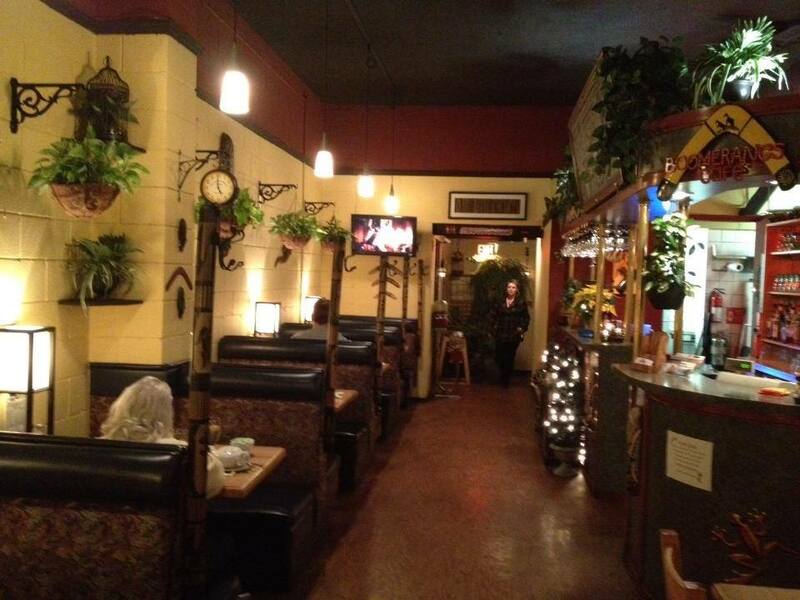 By August of that same year, with input from their customers, they had transformed the restaurant into Boomerangs Café. The Boomerangs tagline is “we’ll keep you coming back”. And with the success of their restaurant it seems they are doing just that. Not only do they have many regular local customers, they have people travelling in from Comox, Qualicum Beach and even Victoria to enjoy a weekend breakfast! 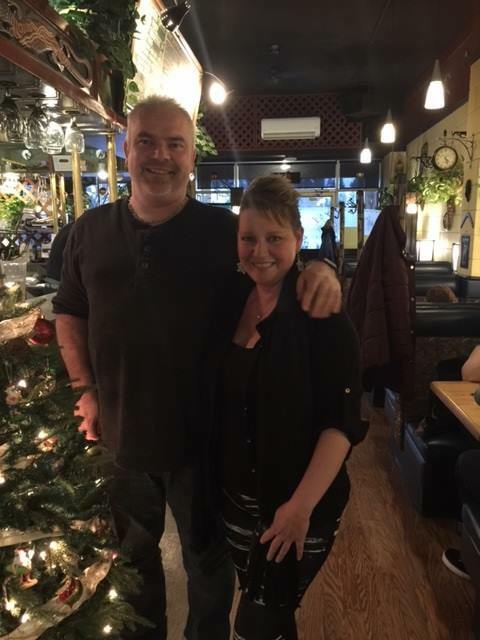 When they purchased the restaurant, Laura and Darren had a staff of five – that number has grown to 25! Renovations will begin after February 2017, to expand the kitchen and add additional seating. There are also plans in the works to build an outdoor patio. Boomerangs has a fabulous menu, with specialties such as Kangaroo, Camel, Alligator and Emu Burgers! We are told Boomerangs sells as many Kangaroo Burgers as Bacon Cheeseburgers. Every now and again Darren, who does much of the cooking, will put Kangaroo Stew on special – watch for that! If you feel like ordering in, Boomerangs also offers home delivery for breakfast, lunch and dinner, which will be delivered to you in one of their fully wrapped delivery vehicles. A big congratulations to Laura and Darren - Boomerangs has been nominated for a Vancouver Island Business Excellence Award! The awards recognize the best of Vancouver Island’s businesses and will be held January 26, 2017 at the Delta Ocean Pointe in Victoria. Boomerangs is also #1 on Trip Advisor! Congratulations to Laura and Darren on the overwhelming success of Boomerangs! Running the business doesn’t allow for much free time, but when they do find time, Laura and Darren enjoy travelling, time with kids and grandkids, and rest! When asked what they like about Port Alberni, they said the beauty, the rainforest, lakes, trails, and the affordability.